This mixed metal earring makes accessorizing a breeze. 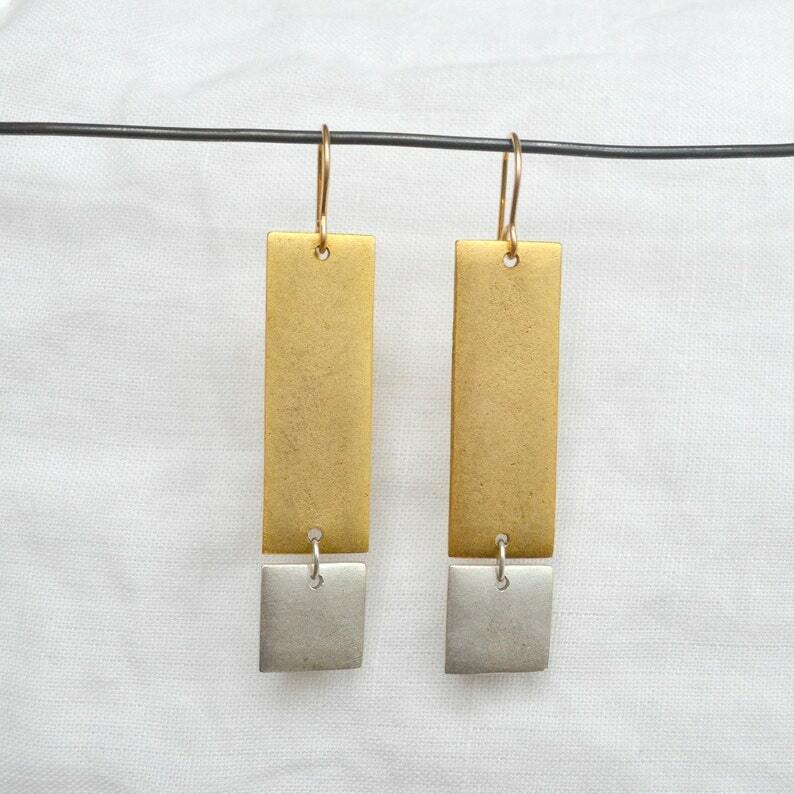 They easily make a statement on their own or pair perfectly with all of your silver and gold jewelry. 14K Gold and Sterling Silver plated rectangular medallions are finished with gold-filled hand-formed ear wires.